Two University of Washington atmospheric scientists—Angela Rowe and Lynn McMurdie—are leaving for a weeks-long, firsthand study of some of the fiercest storms on the planet. 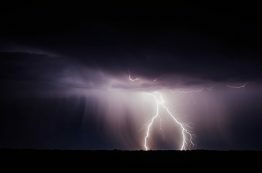 They will participate in RELAMPAGO, an international campaign in Argentina to monitor storms that occur east of the Andes near the slopes of another mountain range, the Sierra de Córdoba. The international team hopes to better understand how convective storm systems — the big systems that unleash torrential rains, hail and lightning — initiate and grow as they travel from the mountainous terrain eastward over the plains. 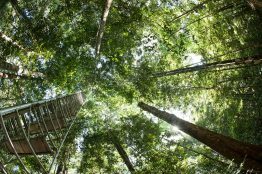 New research finds that plants with thicker leaves may exacerbate climate change impacts because they would be less efficient in sequestering atmospheric carbon. The Gulf of St. Lawrence has warmed and lost oxygen faster than almost anywhere else in the global oceans. The broad, biologically rich waterway in Eastern Canada drains North America’s Great Lakes and is popular with fishing boats, whales and tourists. 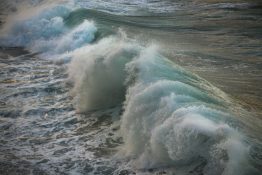 A new study led by the University of Washington looks at the causes of this rapid deoxygenation and links it to two of the ocean’s most powerful currents: the Gulf Stream and the Labrador Current. The air in the United States is much cleaner than even a decade ago. But those improvements have come mainly in summer, the season that used to be the poster child for haze-containing particles that cause asthma, lung cancer and other illnesses. 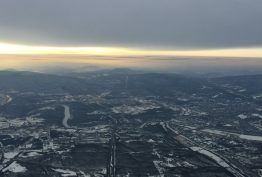 A new study in the Proceedings of the National Academy of Sciences and led by the University of Washington explains why winter air pollution levels have remained high, despite overall lower levels of harmful emissions from power plants and vehicles throughout the year. Dozens of scientists, as well as underwater drones and other high-tech ocean instruments, will set sail from Seattle in mid-August. 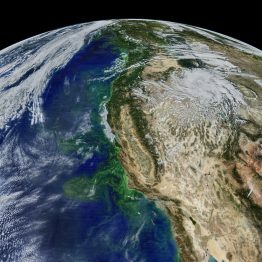 Funded by NASA and the National Science Foundation, the team will study the life and death of the small organisms that play a critical role in removing carbon dioxide from the atmosphere, and in the ocean’s carbon cycle. More than 100 scientists and crew from more than 20 U.S.